ASAP enters it’s 15th year with the 2018-2019 school year. We are proud of the reputation we have established in the community, which has been built on the positive feedback from our ASAP parents and students: they are our best PR tools! Our return rate from year to year exceeds 85% and, when our fifth graders “graduate” they hate to leave! We are looking forward to continued growth and expanding our commitment to providing superior after school programming. Formerly Family Network, Family Focus Highland Park’s After School Activity Program (known as ASAP) originated at the beginning of the 2004-2005 school year in collaboration with North Shore School District 112 to meet the needs of working parents. District 112 allocated one classroom at Wayne Thomas School for ASAP’s first school year. A measure of our success was increased demand for the subsequent year when a classroom was added at Indian Trail School. A second classroom was added at Wayne Thomas during the ’07-’08 school year followed by an expansion to Oak Terrace School, and now Red Oak School. ASAP served over 70 children each year until the 2012-13 school year when our attendance jumped to over 100. Our registration for 2017-2018 reached over 150 students with a waiting list at each ASAP site. With the addition of our third site, Red Oak School, for the 2018-2019 school year ASAP is serving seven all K-5 schools. Enrollment is currently at 175 students with waiting lists at each location. Oak Terrace serves students in kindergarten through fifth grade attending Oak Terrace and Wayne Thomas Schools. Programs take place in a shared classroom, Room #209, in the west corridor of the second floor. Program also uses the multi-purpose room for snack time and table work, and open space for active play. There is also a separate classroom for homework time, a gym, outdoor playground and grassy area. Enter on the west lower entrance door B1, call ASAP phone to be let in. Indian Trail serves students in kindergarten through fifth grade attending Indian Trail School. The ASAP room is located at the lower level on the east side of the building. Additional space used includes the library, big gym, an empty classroom, and outdoor playgrounds and fields. Enter the building on the south side through the doors by the playground. 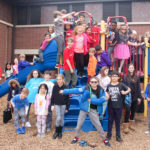 Red Oak serves students in Kindergarten through fifth grade attending Braeside, Ravinia, Red Oak, and Sherwood Schools. ASAP programming will take place in the cafeteria, gym and playground. Parents can enter the school through the door at the back of the school that enters directly into the cafeteria. The 2018-2019 ASAP Hours are August 21, 2018 – June 5, 2019. Programs run Monday-Friday from 3:17 p.m. to 6:00 p.m. Early dismissals are usually at 1 pm. ASAP children who normally attend on any of the above dates are automatically expected to attend the extended ASAP day, at no extra charge. All sites are currently at capacity. Spaces do open during the course of the school year and parents are welcome to complete the registration forms to be added to our waiting lists. ASAP offers full day programming, 8:00 a.m. to 6:00 p.m., on select school holidays (see calendar). These days are optional and take place at Oak Terrace for any K-5 students attending District 112 schools. Special plans and activities, a fun lunch (Buffo’s, Subway, hot dogs, macaroni and cheese, etc.) and snacks, and an opportunity to meet children from the other schools make full days especially exciting. On the full days, our kids have the opportunity to relax with their friends, play games and do art projects, play outside and in the gym. The possibilities are endless! The teachers plan activities they’re unable to fit into the normal daily schedule such as treasure hunts, science experiments, and knock hockey tournaments. An artist from Urban Gateways in Chicago always comes on full days to do a workshop with us and no two artists are ever the same. We have been treated to workshops from painters, sculptors, graffiti artists, actors, dancers, percussionists and poets. Join us for the fun! Bring your friends…even if they don’t usually come to ASAP. Check the calendar below and sign up for the next full day. Cost: $50 per day includes two snacks and lunch. Transportation: Must be provided by parents or guardians. No transportation will be provided by District 112. Location: All full days take place at Oak Terrace. Call the ASAP phone to gain access to the classroom (room 209 located on the second floor). Enter the building at the B1 door on the west side of the school. Oak Terrace School is located at 240 Prairie Avenue, Highwood, IL. Open to: Any student attending District 112 schools. Current ASAP families can sign up at their ASAP sites, or by e-mailing Christy O’Brien at cobrien@family-focus.org. If you are not a current ASAP family, but would like to attend a Full Day, please call 847-433-0377 x 304 to register or follow the link to complete a single day registration form. Full Day Registration must occur at least 24 hours in advance of the date. Our Before School Program was established at the beginning of the 2009-2010 school year. It takes place at Oak Terrace School, serving students from Oak Terrace and Wayne Thomas. Teachers supervise an hour of homework completion and quiet activities including game playing, simple arts and crafts and reading. Children are welcome to bring breakfast to the program. Where: Oak Terrace multi-purpose room – Please enter the building at the door marked Exit 11, at the East end of the bus lane, before the playground. Parents must enter the building with their children and sign them in. Fee: $10 per day, billed one month in advance (i.e. the invoice for October was sent out on September 1st, due September 15th). Parent Packet: Please fill out this additional form and additional forms submit with registration. To pay your ASAP invoice online, please go here. ​Payment is also accepted at the Family Focus (FFHP) office located in the lower level of the Highland Park Presbyterian Church at 330 Laurel Avenue in Highland Park. If no ASAP personnel are on site, there is a locked ASAP mailbox on the wall by the coat rack outside the office. NO PAYMENTS WILL BE ACCEPTED AT ASAP SITES. Christy O’Brien, M.S.W. joined Family Focus Highland Park in 2017 as the ASAP Coordinator and is now the ASAP Manager, responsible for ASAP at our three program sites, and BSAP at Oak Terrace. She received a Master’s in Social Work from the University of Denver and has extensive experience working with school-age children and their families. Christy has designed programs and curriculum for a variety of non-profit agencies in Chicago serving children and families. Christy also has experience teaching yoga and fitness programs and she brings a unique blend of physical play with socio-emotional learning games to further our children’s holistic growth. She and her son who attends Northwood Junior High, live in Highwood. Theo Savini ​joined the Oak Terrace team in January of 2017. He quickly became a respected member bringing great ideas and an instant connection with the children. Theo recently moved to Chicago following his graduation from Occidental College in Pasadena, CA. Theo majored in Social Justice and Spanish Studies. During the day, Theo is an Instructional Aide at a middle school in Buffalo Grove. Juana Dominguez, in her sixth year with us, has been a valued member of the District 112 staff for more than 20 years. For most of her District 112 career, Juana has worked at the Green Bay Early Childhood Center as a teaching assistant. She brings a wealth of knowledge, enthusiasm, and creativity to ASAP. Miriam Vergara is currently a student at Lake Forest College, studying Spanish and Latin American Studies. She is bi-lingual and brings a wealth of knowledge about the Latino Community to the program. The children would certainly agree that Miriam is a great asset to the program. Anne Dietrich, our Indian Trail Site Coordinator, is a respected member of our Indian Trail staff. She has her Masters in Social Work from the Jane Addams College of Social Work and taught preschool for eight years. Anne’s positive approach and calm demeanor is a welcome addition to the Indian Trail staff. She provides encouragement and support to the ASAP children. Cathleen Hamili ​joined the Indian Trail team after Winter Break of 2017. Cathleen has year of experience working with children. She currently works at Family Network’s Parent-Child Center in the mornings. She is in charge of the Baby Room welcoming new parents with their infants. Cathleen is very creative and nurturing, and will add much warmth to our well-rounded team. Jovana Novakovic, our Red Oak Site Coordinator, has a love for young children and provides nurturing and warmth to the ASAP kids. She has worked for many years alongside her mother, who has a home childcare program. Angie Gallegos joined the ASAP team in 2017, and has since graduated from Lake Forest College with a double major in psychology and gender studies. Angie conducted in-depth studies of children’s psychology and put her education to work in her position as an ASAP teacher. She is very accomplished in social action and brings a great deal of passion to her work. We’re happy to have her return as a teacher at our Red Oak site. Brenda Ramirez recently re-joined our ASAP team after taking some time to be with her children and we couldn’t be happier to have her back. Brenda is a native Spanish speaker and attended Universidad Cristobal Colon in Veracruz, Mexico to obtain her Bachelor of Psychology. She studied child behavior and worked in a school and social center for children’s programs while in Veracruz. She’s a fun presence for our kids at ASAP, always up to play a new game, and very nurturing as well. Maria Sorrentino joined our team as the Before School teacher when it began in 2009. Maria has a B.A. in Spanish Language and Literature and an extensive background in education. For seven years, Maria has worked as a bi-lingual teacher assistant at Oak Terrace. Prior to that, Maria taught high school Spanish and was the administrative director of a Chicago not-for-profit. We’re lucky to have Maria as the “early bird” of the team.